Now that my hardwood floors have been refinished (hallelujah), I'm freaking out like a crazy person every time I drop a spoon ("Did it DENT my floor??"). It's all about authenticity, right? Honestly, though, I know that these floors are going to be lived on. Life will happen on these floors. I will drop stuff and dent the floor. I will scratch it up. God willing, someday a child may scribble on it with crayon. That's life. I get it. But, just because I know damage will happen doesn't mean that I won't prevent it if I can. We learned, during the restoration, that this is it for the kitchen- there's not enough of the hardwood left to refinish the floor again. When the time comes that the kitchen floor is kaput (hopefully like, 50 years from now), we'll be replacing it, not reclaiming it. 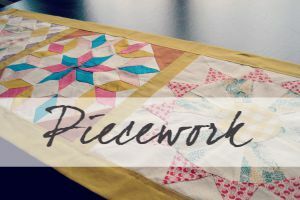 I'd like to keep my floors as protected as possible, and being that furniture tends to be the toughest on floors, I wanted to keep chair legs and tables from scraping up all our hard work. The trouble is, those little felt pad protectors always fall off. Putting those plastic bases under stationary furniture works fine, but chairs are always movin' around. So, I thought, let's go elementary school with this and do tennis balls! I just didn't want to have bright green balls being super distracting and tacky in my dining room. I did a little research and found out that other people had tried dying the tennis balls- apparently Penn brand holds dye the best. Off we went to pick up a bottle of Rit dye at the store. ...and attempted to dye the tennis balls brown. 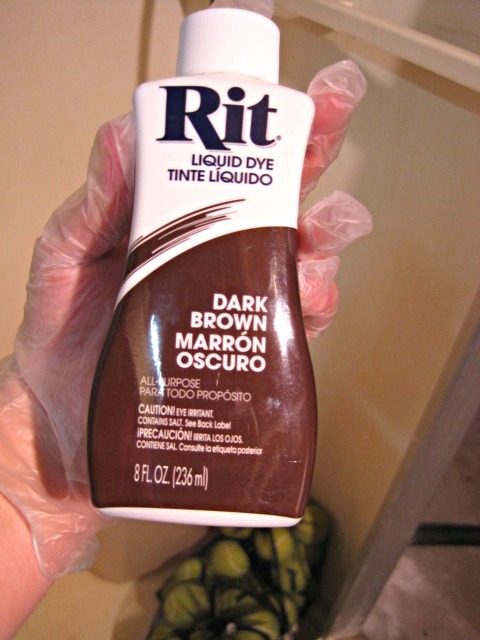 A tip, just in case you're thinking about doing this yourself- go with the darkest color of dye you can find. I debated getting the "tan" color, but I'm so glad we went with "Dark Brown," or this just wouldn't have worked out at all. I followed the directions on the back of the bottle, loosely. 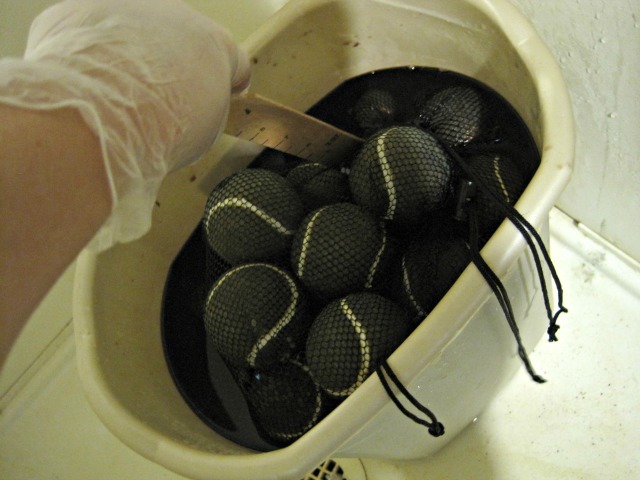 Using a bucket, I poured the dye in with the hot water, and, leaving the balls in their little mesh baggies, dunked 'em and stirred them with a yardstick. After the allotted time, I pulled them out and rinsed them, to find that the dye hadn't set. At all. 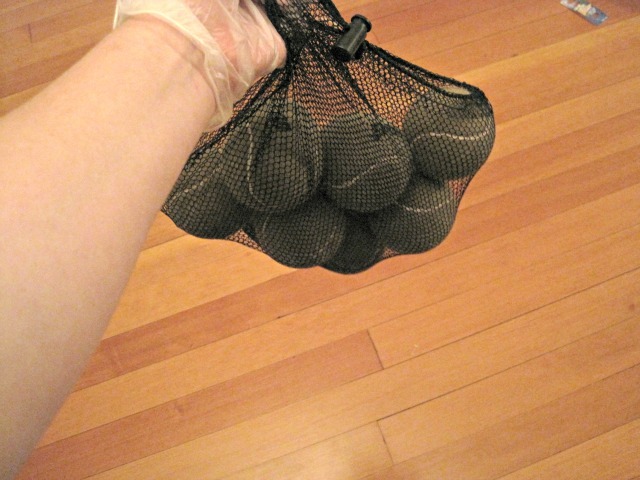 So I stuck the balls back in there and weighted them down with an old pot, and sort of forgot about them for two days. 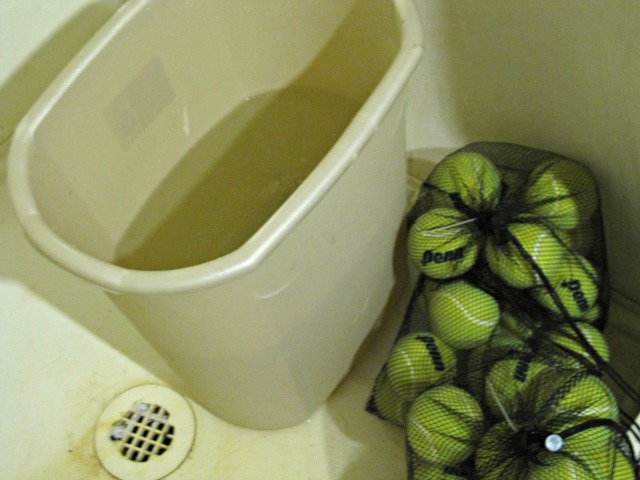 When I remembered that I still had a bucket 'o balls in the basement, I put them into what is termed as "the yucky dryer" with a couple old towels. Still green, but a little less eye-catching. I was sort of hoping they'd be a dark brown, but nope. 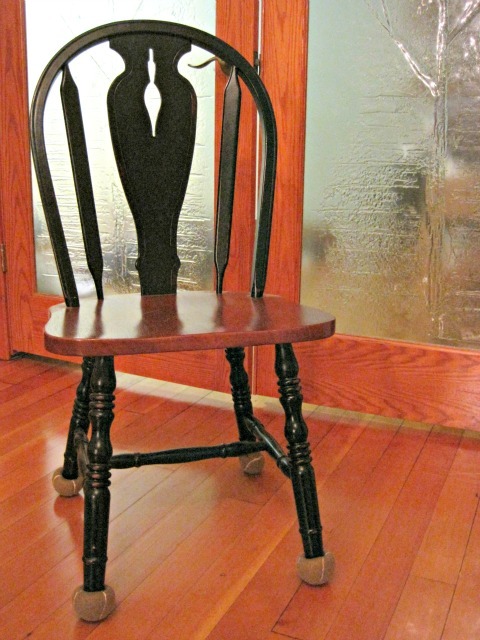 I thought about dying them again, but I was just sick of messing with them and really wanted chairs in my dining room, finally, so I called them good enough. 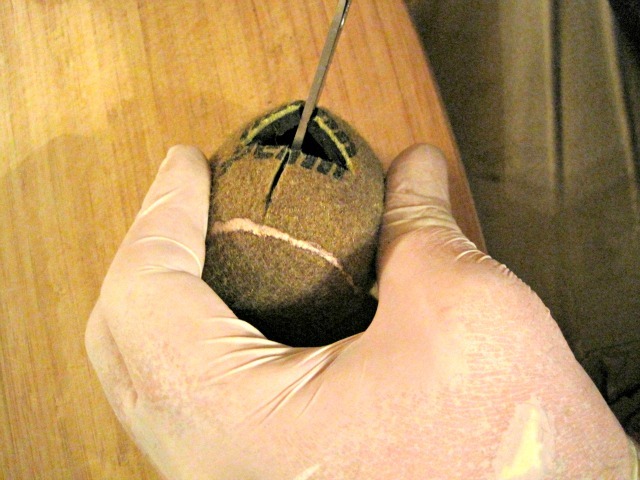 I then hired the help of that wonderful man of mine to help me figure out the best way to cut the balls to get them on the chair legs. We eventually settled on this method, which looks a little less "old folk's walker" and a little more.... "classy" isn't quite the word. Less terrible? Using a box cutter, Trevor cut an X into each ball, cutting probably an inch and a half slits in each ball. He cut the balls right on the "Penn" logo, so none of the words would show. 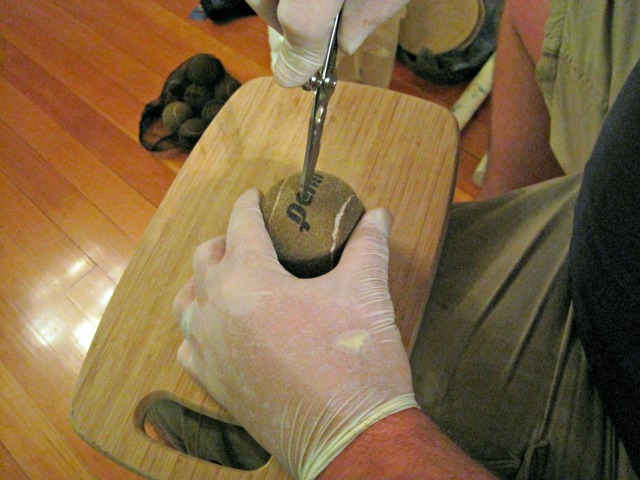 Then, we pushed each ball onto a chair leg, allowing the flaps of the ball to be sort of folded over. 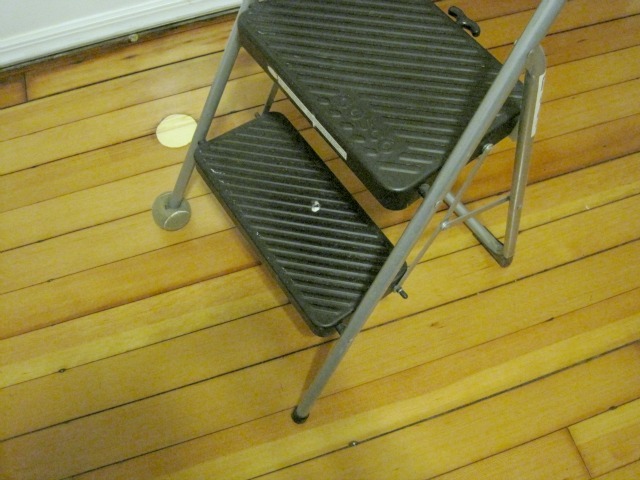 In the move, we also lost the plastic protector to our step stool (which I use all the time, because I'm short), and a tennis ball was put to work there, too. For a project that didn't quite turn out the way I planned, I don't think it's that bad. The chairs slide very easily without making any noise, which is a plus, and we know that they're not going to scrape the floor. Still green, but not "construction vest green." In fact, in all, we have tennis balls on all our dining room chairs, the table legs in the kitchen and dining room, and they'll probably show up a couple more places when all is said and done. 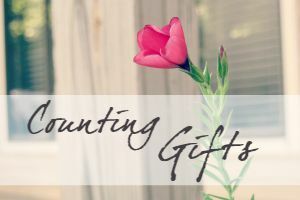 DISCLOSURE: In order for me to support my blogging habit, I may receive monetary compensation or other types of remuneration for my endorsement, recommendation, testimonial and/or link to any products or services from this blog. You may see a full disclosure by clicking on my "About" page. I will only promote products that I use, enjoy, or take a shine to. 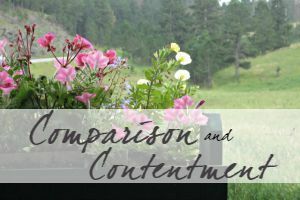 All opinions and reviews are my own and are not influenced by any compensation I may receive. Preparing a hardwood floor is really tough and also it is tougher to maintain it. 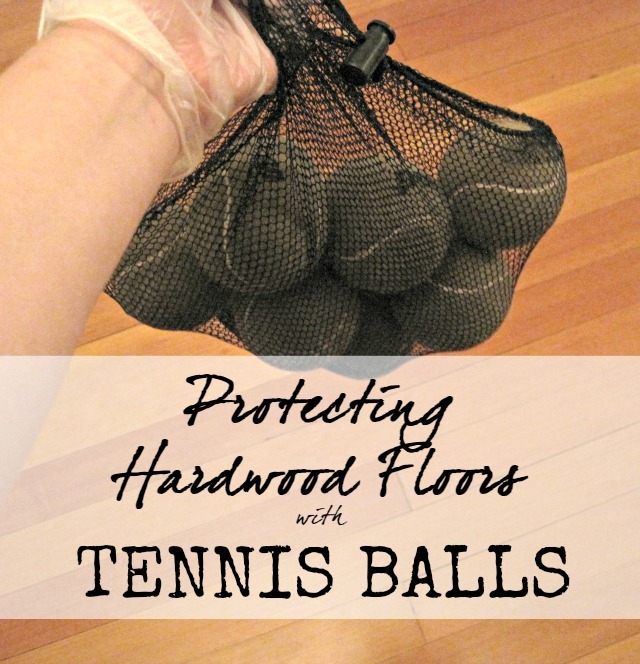 Therefore we should take good precautions and preventive steps to maintain hardwood floors; especially in tennis courts it is quite tough to protect the floors from hard tennis balls. 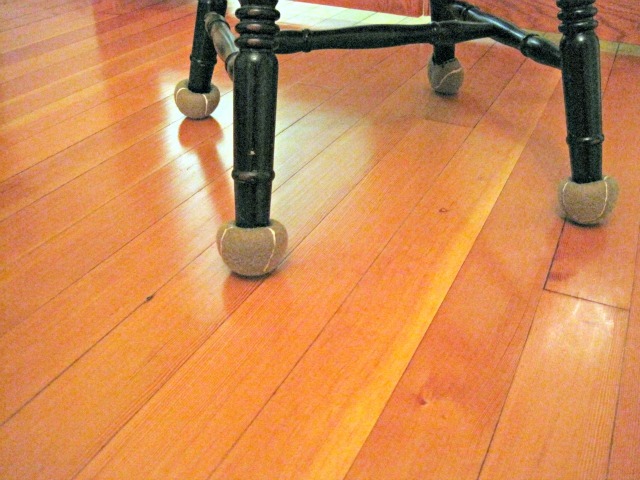 Therefore we should follow some basic instructions from here on how to protect hardwood floors from hard tennis balls. I wonder if the tennis balls could be bleached first and then dyed? Yeah, that could possibly help... but the balls aren't really dyed originally- the nylon itself is green... so I'm not sure that it would make a difference. Worth a shot, though! 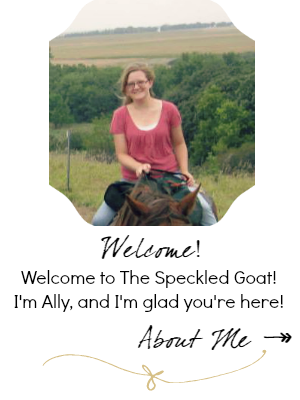 Get the Speckled This Week Newsletter! 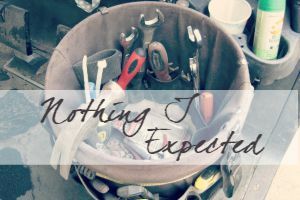 Unauthorized usage and duplication of text and images without the express permission of Ally and The Speckled Goat Blog is strictly prohibited. 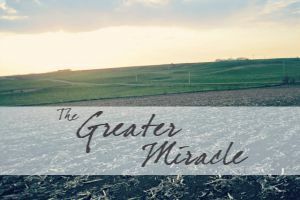 Excerpts and links to posts may be used as long as clear credit is given to The Speckled Goat Blog.